I don’t cook Italian very often and it’s the food that I least often go out for; perhaps unjustifiably, I just sometimes find it a bit boring. It’s just so common in the U.S. 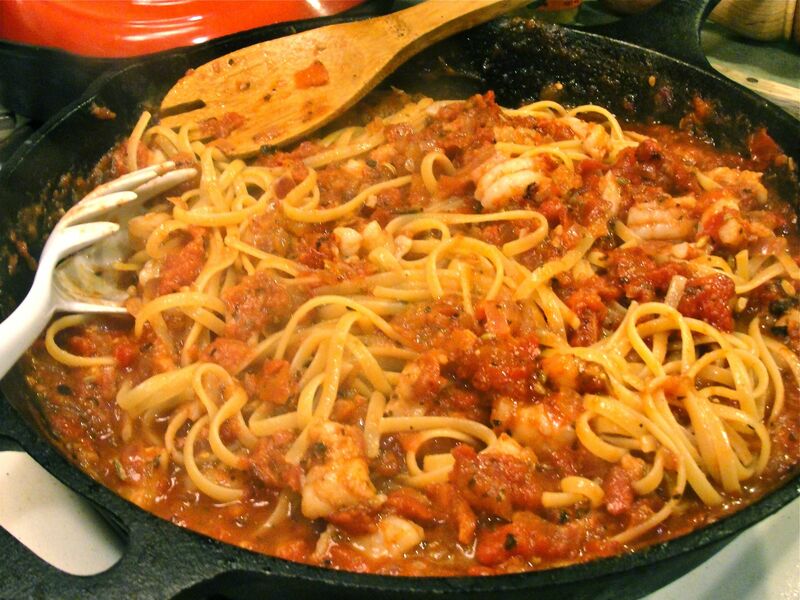 However, I definitely enjoy spicy food and have been meaning to make a “fra diavolo” dish for some time. Just the other day, I was watching the television program “Lidia’s Italy,” and she made Calamari Fra Diavolo over Linguine that inspired me to do something other than my baked pasta dish that I often make when I don’t have the energy to do something ambitious. 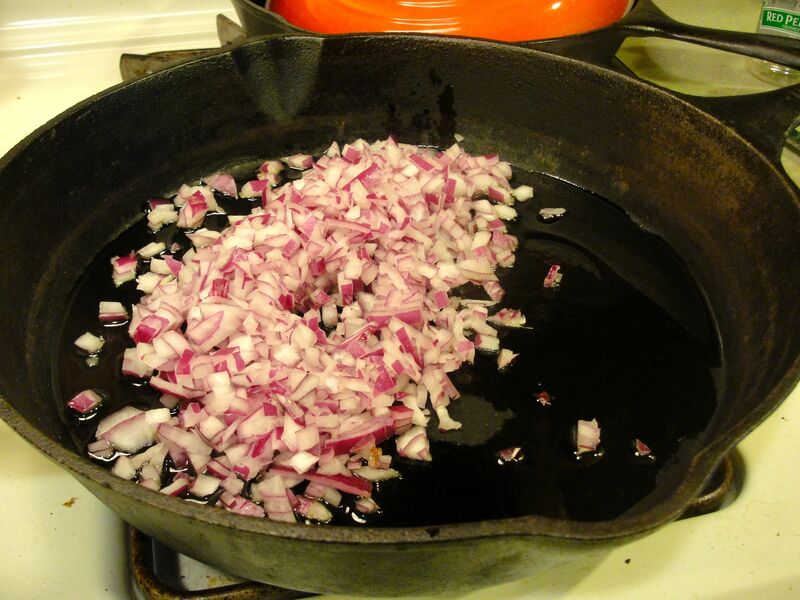 To prepare, begin by sautéing the diced onion in olive oil in a large pan. Sautéing the onion in olive oil. Simultaneously begin boiling the pasta separately until al dente. 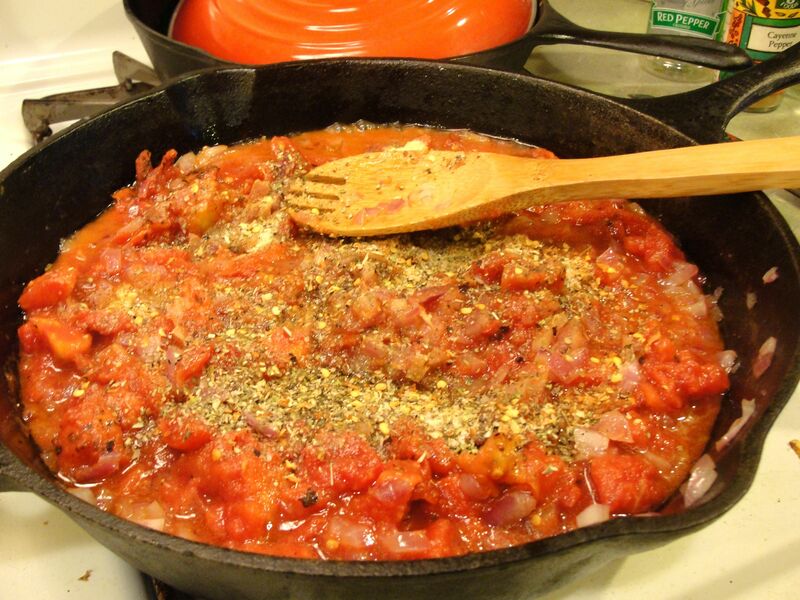 Once the onion is tender, add the tomatoes; mashing them either in advance or in the pan. (I actually used a potato masher.) Next, add all the dry spices and sugar and stir regularly, while cooking and slightly reducing the sauce. I also added a generous portion of dry fennel seed because fennel is one of my favorites. 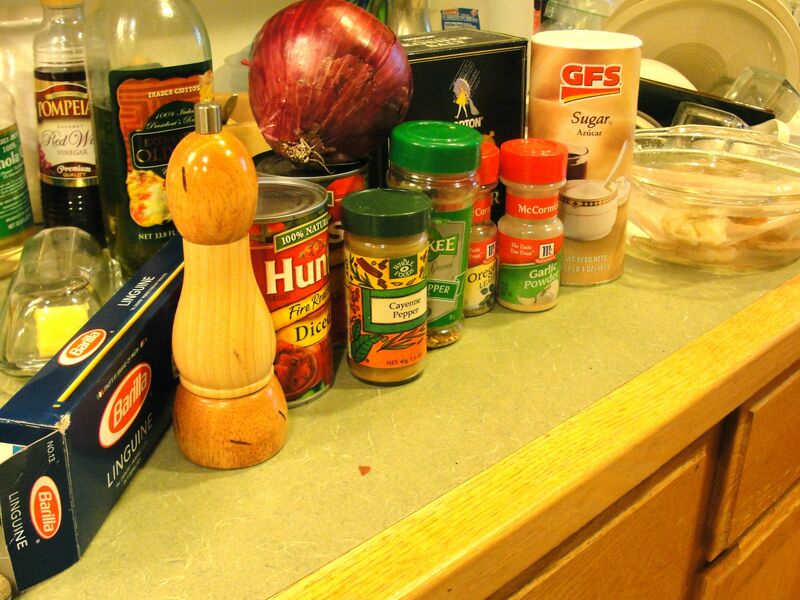 Preparing the sauce with spices. 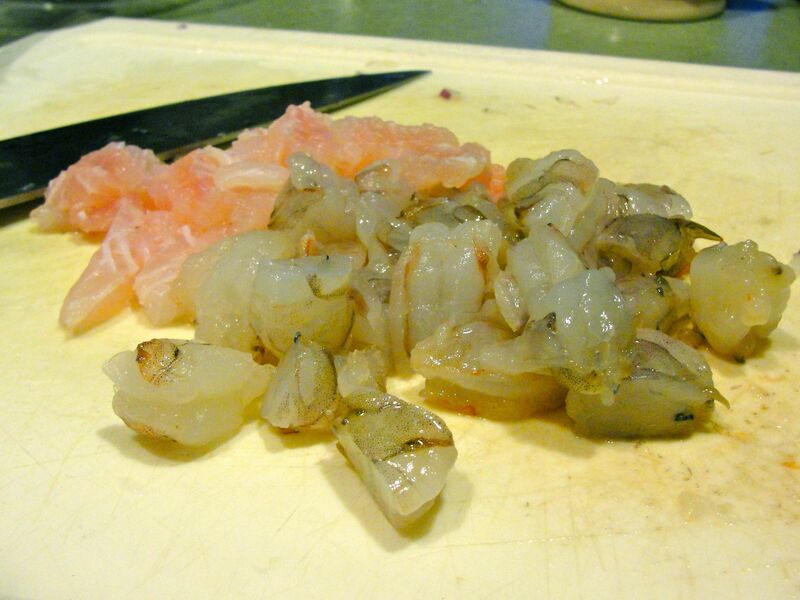 Add the shrimp pieces to the sauce and cook a few minutes; when the pasta is mostly cooked (al dente), add it to the pan as well. Add the al dente pasta. 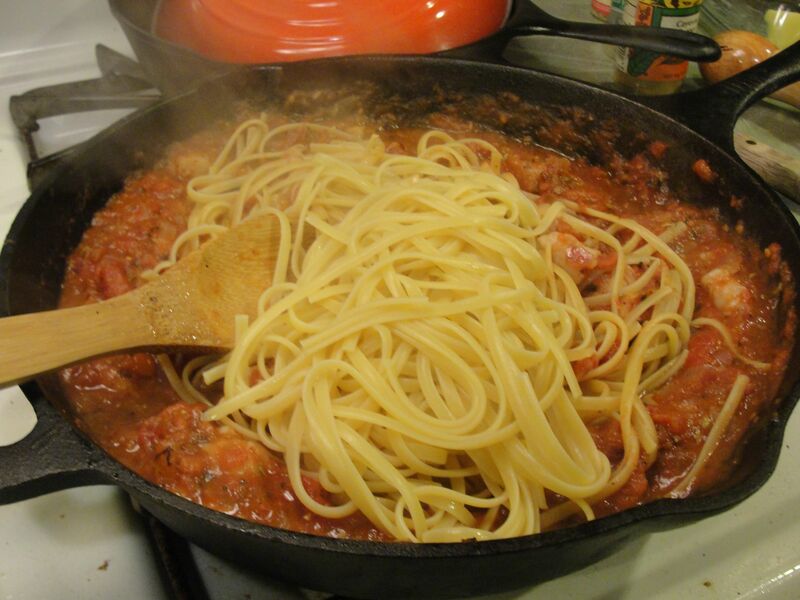 Stir the pasta and sauce, and finish cooking when the pasta and shrimp are the desired doneness/texture. 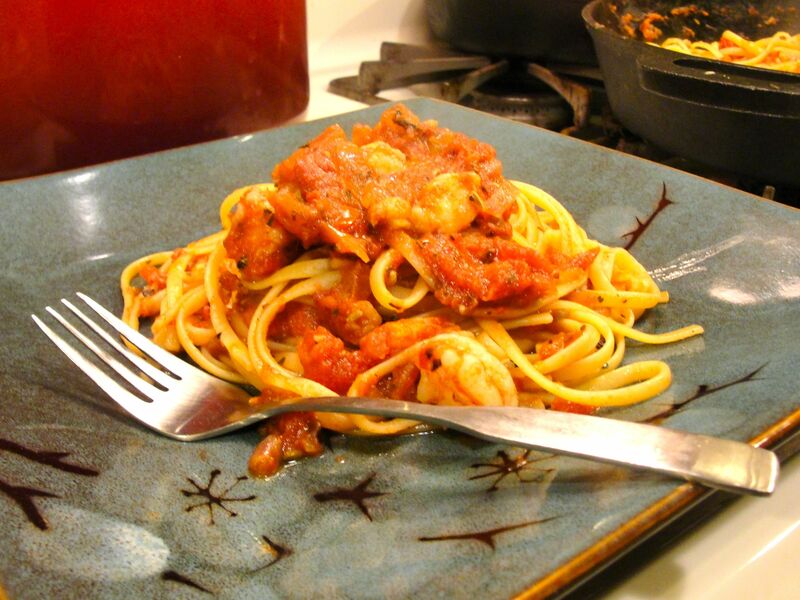 Shrimp Fra Diavolo with Linguine. I made about 4 servings. It’s a simple, yet delicious dish! I hope you enjoy this dish; as with others spiced with cayenne powder, it’s easy to make it as hot (or not) as you like. I’m cautiously optimistic that I find time to get back to blogging (and blog reading) before July.